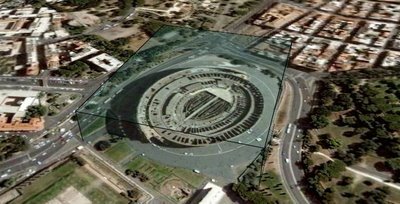 Fabrizio Pivari: Google Earth internet artist: Rome: Colosseum in a glass cube. The second internet installation. The videos on a Google Maps! Rome: Colosseum in a glass cube. The second internet installation. Rome: Colosseum in a glass cube. The second internet installation of Fabrizio Pivari. Here the original kmz file to make a tour using Google Earth. I think, I'm the first worldwide artist that uses Google Earth for internet installations.